After our renewal in San Carlos Seminary, we had our recommitment inside the church of Saint Andrew last Sunday (August 16, 2015). The Mass at 8:00 in the morning is dedicated to our Ministry, the Ministry of Church Greeters and Collectors. I was touched by the homily of Msngr. 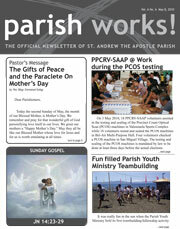 Dennis Odiver, our loving parish priest. Almost half of his homily is just complimenting our Ministry. And the best part that I’ve heard in his homily is when he says “...kung titingnan po natin sila ng maiigi ay isa lamang po silang mga ordinaryong tao gaya natin but in the eyes of God they are Extra-Ordinary. Sila ay hindi lamang basta basta ordinaryong tao bagkus sila ay espesyal sa mata ng Diyos...” what Msngr. Dennis said was so overwhelming and I know that all of us are touched by what he said. We are all blessed, so blessed at that time. 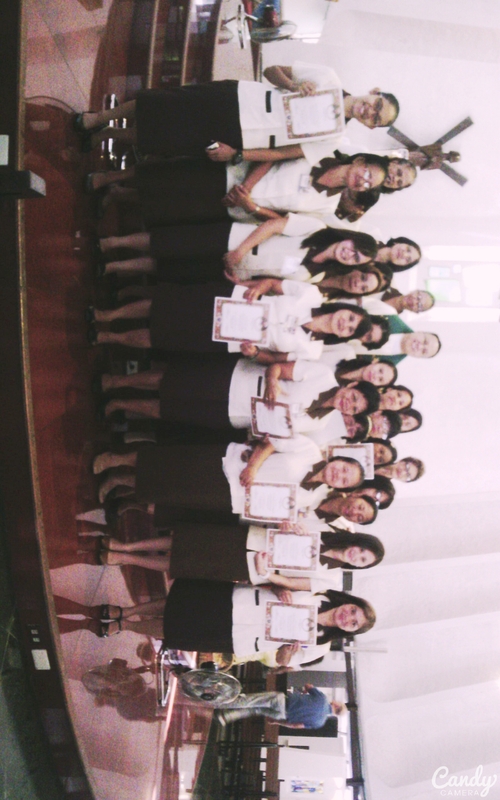 After the mass and the recommitment we took pictures with Msngr. Dennis and we are so glad because the parish prepared something for us. We ate breakfast with Msngr. I’ve been two years in this Ministry and I’m so happy with them. I’m happy and contented serving God. And I hope you’ll join our ministry. In the southern part of France, at the base of range mountains, there nestles the world famous town of Lourdes. Bernadette Souberious, the daughter of a poor day – laborer, was a small and delicate child. She was unschooled and not even made her first communion at the age of fourteen. The only thing notable about her was her profound innocence and great love of prayer. 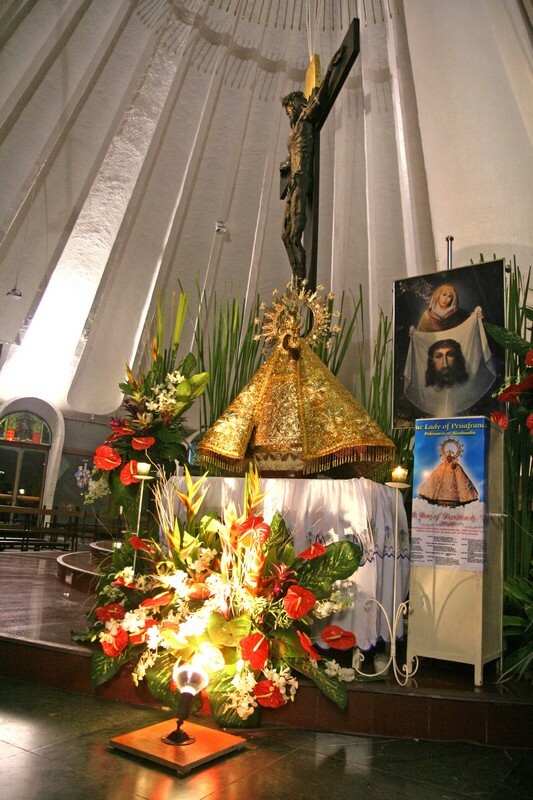 The image of Our Lady of Penafrancia, now on its 300th year, arrived in our parish last Sept 9. Novena and masses were being offered to her everyday. A Farewell Ceremony was held Sept. 12, 2010 after the 12:00 noon mass.